Thursday, February 20, 6pm: In Loving Memory of Doug Tutus, a tribute website to the late co-founder of NewLease, is now live. At this site you may leave your memories of Doug and messages to his family, friends and colleagues. The site is being sponsored by Doug’s friends and colleagues in the industry and has the full support and endorsement of NewLease. Visit In Loving Memory of Doug Tutus. Leading channel identity and NewLease founder and group managing director, Doug Tutus, has passed away. “It is with great sadness and sorrow that the staff and Board of NewLease must announce the loss of their leader, friend and co-founder Doug Tutus. “While in Canada late last week to make investor presentations as part of NewLease’s upcoming public listing, Doug unexpectedly and tragically passed away. “Doug Tutus was as an entrepreneur, a charismatic leader of people, a visionary, and a great friend. He had the vision to see opportunities and act on them fearlessly and without hesitation. He was also a great teacher, leading by example and uniting his contemporaries. Perhaps Doug’s greatest gift is that he has enabled those that worked with him to build their own vision and draw on their individual strengths to be the best they can be. He had great faith in people and saw their potential to succeed even when they could not see it in themselves. “While the dedicated staff and board of NewLease will greatly miss Doug and all that he brought to the business on a daily basis, they are focused on honouring his legacy by continuing to build the NewLease business and delivering the excellent service for which NewLease is recognised. “Dawn Edmonds, current COO and co-founder of NewLease will act as interim CEO and the current management team will remain in place supported by members of the board including Laurie Sellers. “Our deepest of sympathies and thoughts are with Doug’s family during this heartbreaking time and we would like to express our sincerest gratitude for all the heart felt wishes, kind words and messages we have already received. “Your support and kindness is greatly appreciated during this difficult time. Doug Tutus was a vibrant and well-known figure in the channel, ever present at functions, roundtables and events. He was respected by his colleagues for his broad knowledge across business development, building partnerships and maximising the customer experience. According to his LinkedIn page, after founding NewLease in 2002, he saw a clear need in 2003 for an organisation to administer Microsoft’s Service Provider License Agreement (SPLA) in Australia and Asia Pacific. By 2008, he had created one of Microsoft’s most nimble and successful SPLA practices. NewLease is now recognised as one of the leading SPLA distributors globally and has since grown to also offer other Cloud-based products such as VMware VSPP, Citrix CSP, Redhat CCP, Trend Micro MSP, Veeam VSP amongst others. But Doug didn’t limit his vision to just the channel. He had interests in many industries and established a successful chain of childcare centres, as well as a range of complimentary services to the childcare industry. 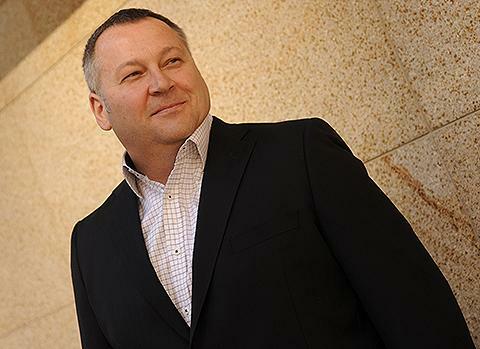 His early career was marked by his work in the manufacturing sector which led to leadership roles at companies such as Orica, Salmat and AusDoc. ARN extends its deepest condolences to Doug’s family, friends and colleagues at NewLease. He will be missed. The boards of both FFR Corporation and NewLease have issued a statement on the Australian Stock Exchange (ASX) confirming that despite the tragic death of NewLease co-founder and group managing director, Doug Tutus, they have unanimously agreed to proceed with the previously announced transaction by which FFR will acquire all the issue capital of NewLease. The acquisition involves the issue of FRR shares valued at $13.5 million. FRR plans to have a single focus on the IT sector and will divest its remote accommodation interests as a result. As part of the acquisition, FRR will be renamed as Rhype, which will wholly own NewLease. The NewLease business name will remain. Doug Tutus, said in December, when the reverse takeover of the ASX-listed FRR Corporation (ASX:FRR) was announced, that NewLease had ambitions to become a publicly listed company. This will proceed. The announcement on the ASX also stated that current FFR executive chairman, Mike Hill, will remain as executive chairman of Rhype, rather than become a non-executive chairman as originally proposed. NewLease interim CEO, DawnEdmonds, said in the statement: "It's tragic that Doug won't participate in the next phase of the company's development. He was proud of the businesses he created, helped build and lead. The public listing of NewLease is a significant milestone in the company's growth that Doug was eager to achieve. "We are fortunate that Doug left the company in such a strong position and the leadership team is committed to delivering on the potential that Doug and I always saw. Our entire organisation is absolutely aware of where we need to go and how we need to get there. If anything, we are now, more than ever, driven to fulfil NewLease's potential, both for ourselves and for Doug's legacy."